Hiro (Kyoto, Japan) on 5 September 2017 in Plant & Nature. Am I taller than the pylons ? :)) it is possible to live on dreams as well !! What a sweet moment this makes . . sunflowers always seem friendly ! Another great look at the Sunflower. 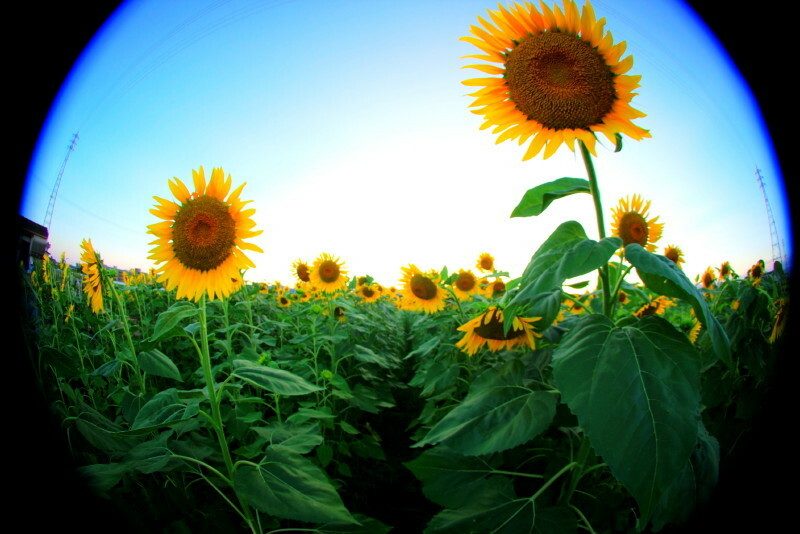 Beautiful colors as the sunflowers stand face forward!! Une deuxième merveille quel rond et ces tournes sols sueprbe. It is taller! ;-) Happy ST.
A fine angle for this wide angle silly Tuesday picture. Very well done. A great view through the lens! Beautiful color!